The Western Cape Province is roughly L-shaped, extending north and east from the Cape of Good Hope, in the southwestern corner of South Africa. It stretches about 400 kilometres (250 mi) northwards along the Atlantic coast and about 500 kilometres (300 mi) eastwards along the South African south coast (Southern Indian Ocean). 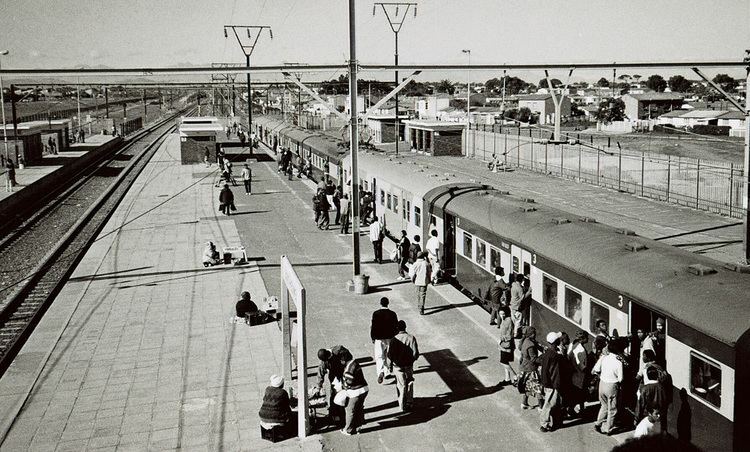 It is bordered on the north by the Northern Cape and on the east by the Eastern Cape. The total land area of the province is 129,462 square kilometres (49,986 sq mi), about 10.6% of the country's total. It is roughly the size of England or the State of Louisiana. Its capital city and largest city is Cape Town, and some other major cities include Stellenbosch, Worcester, Paarl, and George. 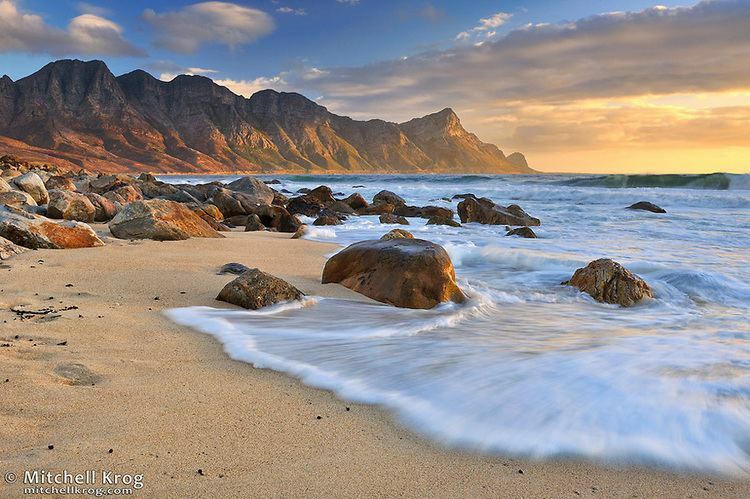 The Garden Route and the Overberg are popular coastal tourism areas. The Western Cape is the southernmost region of the African continent with Cape Agulhas as its southernmost point, only 3800 km from the Antarctic coastline. The coastline varies from sandy between capes, to rocky to steep and mountainous in places. The only natural harbour is Saldanha Bay on the west coast, about 140 km north of Cape Town. However a lack of fresh water in the region meant that it has only recently been used as a harbour. 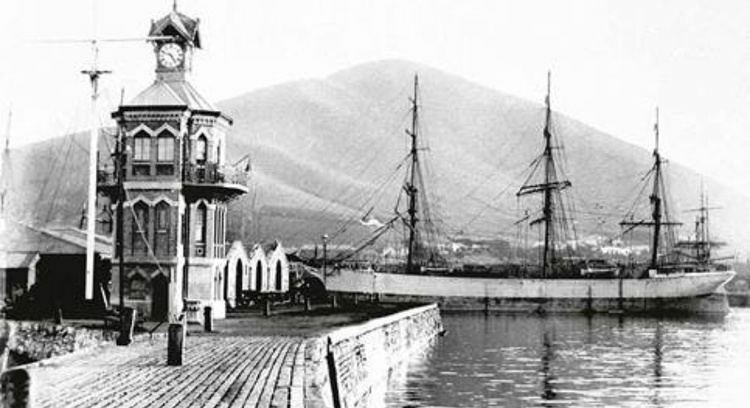 The province's principle harbour was built in Table Bay, which in its natural state was fully exposed to the northwesterly storms that bring rain to the province in winter, as well as the almost uninterrupted dry southeasterly winds in summer. But fresh water coming off Table Mountain and Devil's Peak allowed the early European settlers to build Cape Town on the shores of this less than satisfactory anchorage. The Western Cape's total GDP for 2008 was R268bn, making the province the joint 2nd largest contributor to the country's total GDP, at 14%. It also has one of the fastest growing economies in the country, growing at 4% in 2008 and is expected to grow by 3.2% in 2011. At 20% the province has a substantially lower unemployment rate than the national average standing at 23% in 2009. The province's Gini coefficient of 0.63 is lower than South Africa's Gini coefficient of 0.7 making it more equal then the rest of the country whilst still being extremely high and unequal by international standards. The Western Cape's Human Development Index is the highest in South Africa at 0.7708 compared to the South African average of 0.6675 in 2003. 49% of the people of the Western Cape described themselves as "Coloured", while 33% described themselves as "Black African", 17% as "White", and 1% as "Indian or Asian". Afrikaans is the plurality language, spoken as the first language of 50% of the province's population. IsiXhosa is the first language of 25% of the population, while English is the first language of 20%. The age distribution of the province was as follows: 25.1% were under the age of 15, 18.3% from 15 to 24, 32.7% from 25 to 44, 18.0% from 45 to 64, and 5.9% who are 65 years of age or older. The median age is 28 years. For every 100 women there are 96 men. 86.9% of households use electricity for cooking, and 93% use it for lighting. 89% of households have a cellphone and 31% have a landline telephone, while 86% own a television, 81% own a refrigerator, and 34% own a computer. 44% of households have access to the Internet. The Western Cape is famous for wine production and some of the most beautiful vineyards in the world. The winelands are divided into six main regions: Boberg, Breede River Valley, Cape South Coast, Coastal Region, Klein Karoo and Olifants River. Each has unique climate, topography and fertile soils which produce wines of excellent quality.